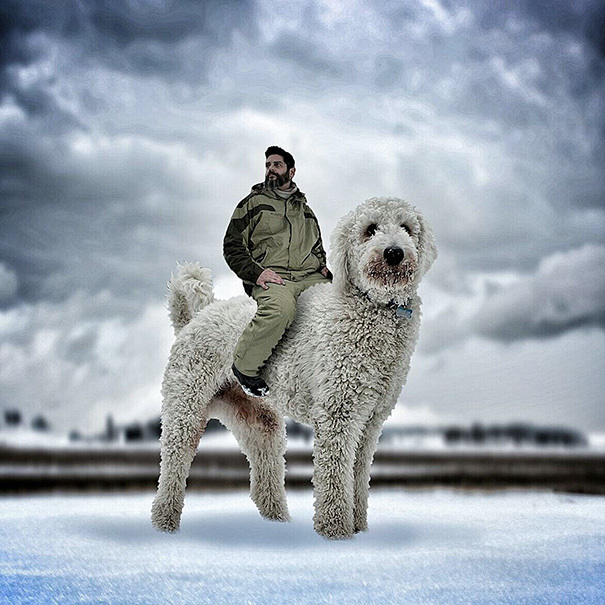 Face 1: CHRISTOPHER CLINE - When photographer Christopher Cline moved from Virginia to Minnesota, he was feeling homesick. But then his girlfriend brought him Juji. 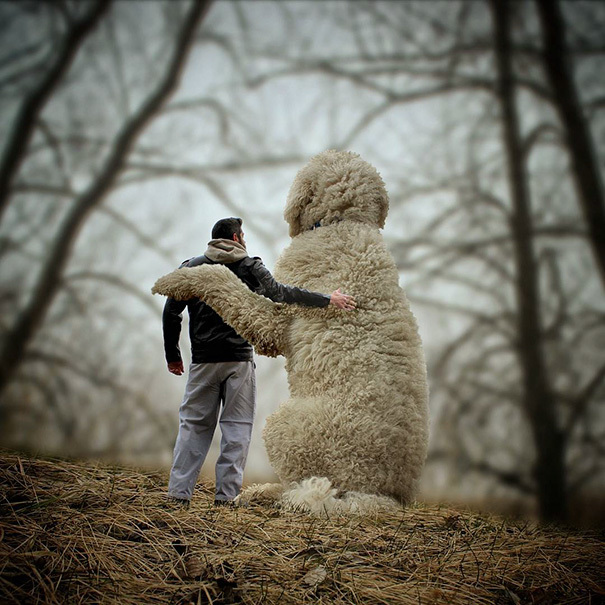 Though the photographer wasn’t keen on getting a dog at first, the adorable Goldendoodle (which is part Golden Retriever and part standard Poodle) not only became his best friend, he brought his inspiration back. 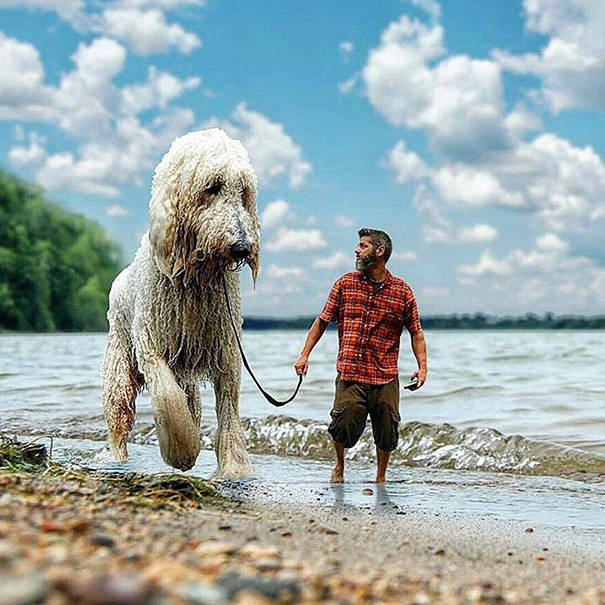 Now Cline creates amusing Photoshop manipulations featuring the a giant Juji and Cline himself taking all sorts of adventures together. 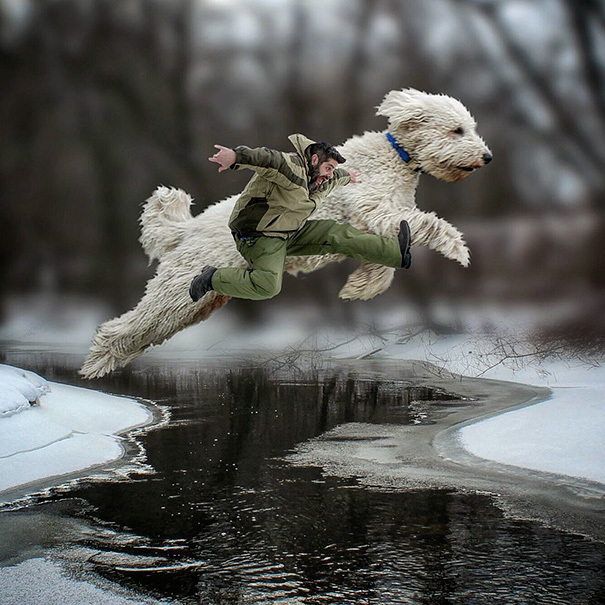 He wants his photos to have a “kids’ book feel.” “I immediately fell in love with him,” said Cline. “He has turned my life completely around and we are now absolutely inseparable. 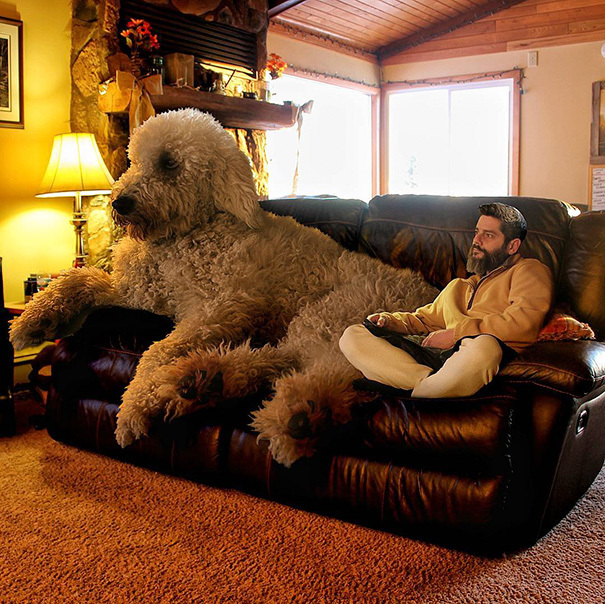 I have found a new outlook on life and in my artwork and I owe it all to him.” Oh, by the way --Juji is really the size of a regular lab! 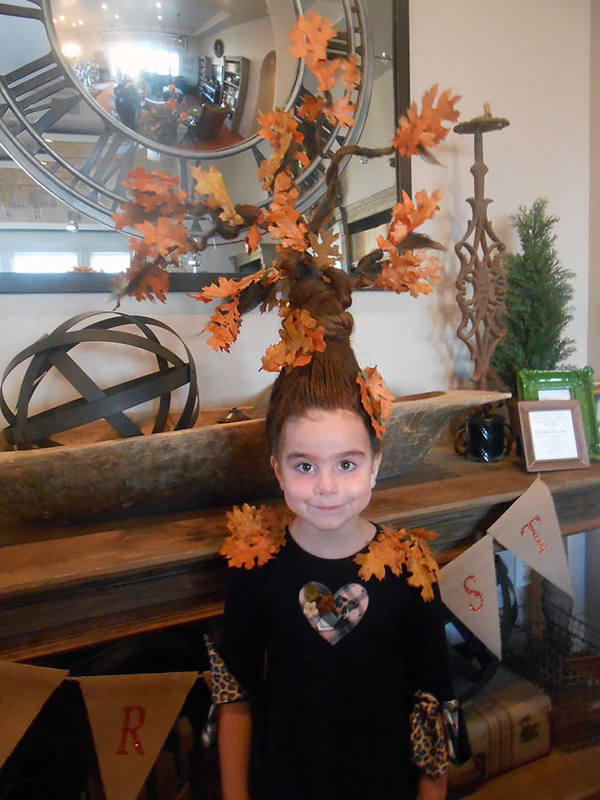 Look at things differently by making what is big, small and what is small, big! When the Presidential Ceremonial Honor Guard silent drill team was invited to compete in an international tattoo in Norway, they quickly got everyone's attention. Even though they were going up against military units from all over the world and NATO, it was no contest and no surprise when the United States was informed that they won first place. Established back in 1931, this ceremonial unit of the Navy’s primary mission is to represent the service in presidential, private, and public ceremonies in any way that helps show the world how skilled our nation’s warriors truly are. From inaugurations to arrival ceremonies for foreign officials, these men have trained for years in order to successfully perform under pressure. 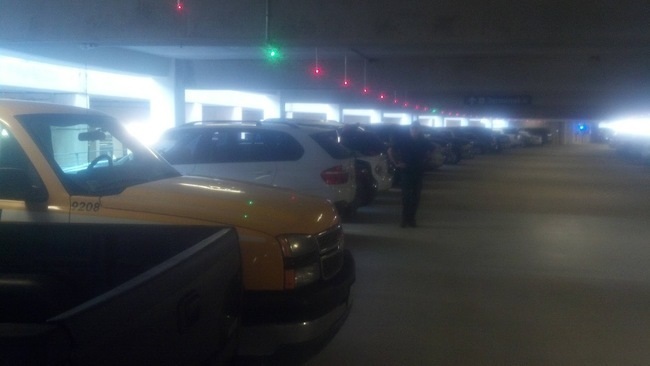 These guys have worked for hundreds upon hundreds of hours in order to achieve this level perfection. Today we will watch the entire video --imagine, the concentration it must take to maintain this level of skill for over six minutes. We can't say it enough --creativity is at its best with PRACTICE! Many people dislike black and white movies and black and white photographs. 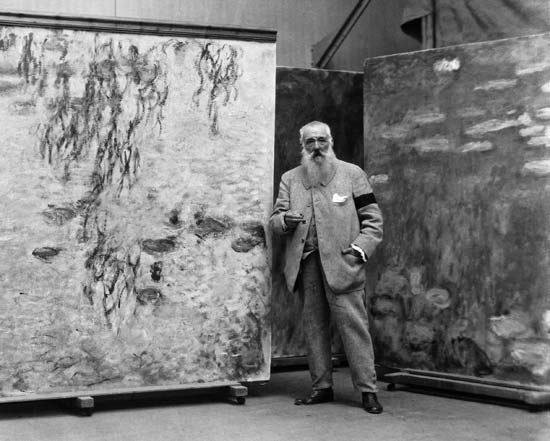 Artist, Dana Keller eliminates that problem by presenting a series of colorized historical photographs that help to “remove that barrier between the past and our modern eyes, drawing us a little bit closer to the reality in which the photo was taken.” Here we see impressionist painter, Claude Monet(one of the artists we have learned about), standing next to paintings from his famous Water Lilly series. Given what he did with color in his paintings, it seems only fitting that we should see the man himself in color. This short black and white video shows Monet painting in his garden in Giverny in 1915. Although Monet painted in vivid colors, the photographs and films of him were drab and gray. Technology today enables us to see those black and white images in colors as vivid as Monet's water lilies! Today's video shows how Dana does it, using his computer! Creativity is NOT what it COULD BE if you rush. Creativity takes time. 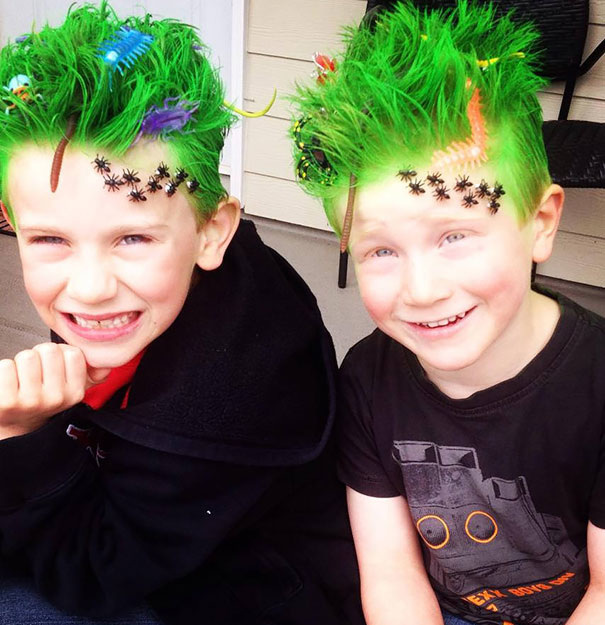 ​Face 4: Crazy hair day is a great just-for-fun celebration that schools and other institutions that work with kids love to throw to let kids (and their parents) express their wild side a bit. 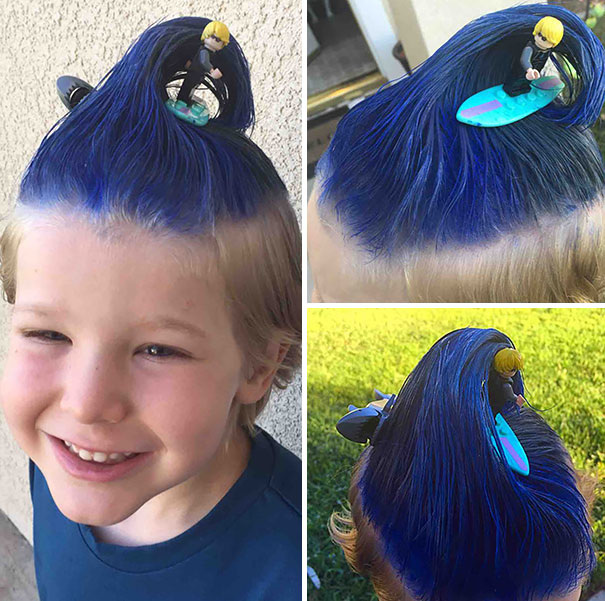 On Crazy Hair Day, kids are encouraged to come in with the wackiest and most creative hair design that they can possibly imagine – hair gel, hair color and even toys are all fair game. 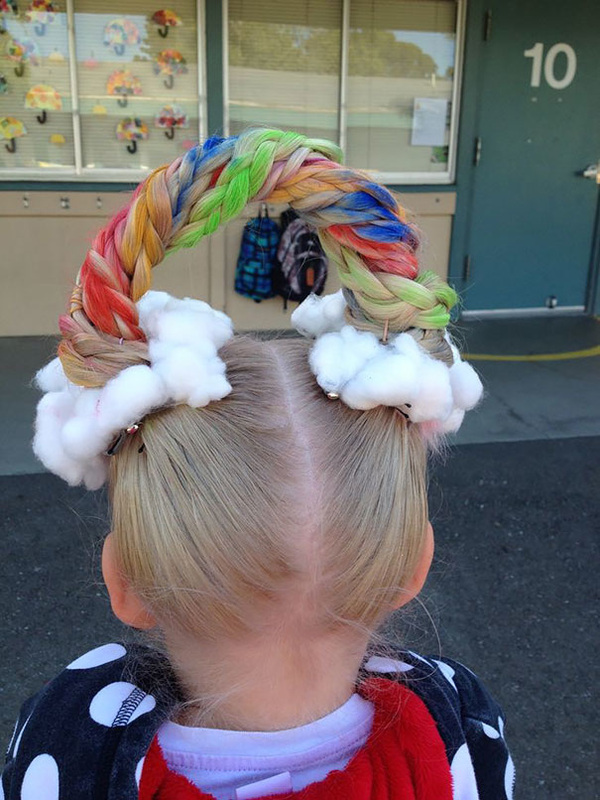 What do you think about these hair creations? 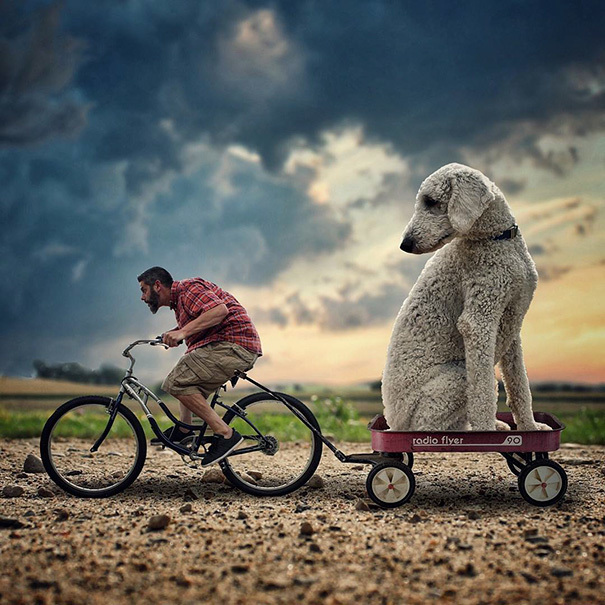 Creativity has a sense of humor and loves to be silly, now and then. 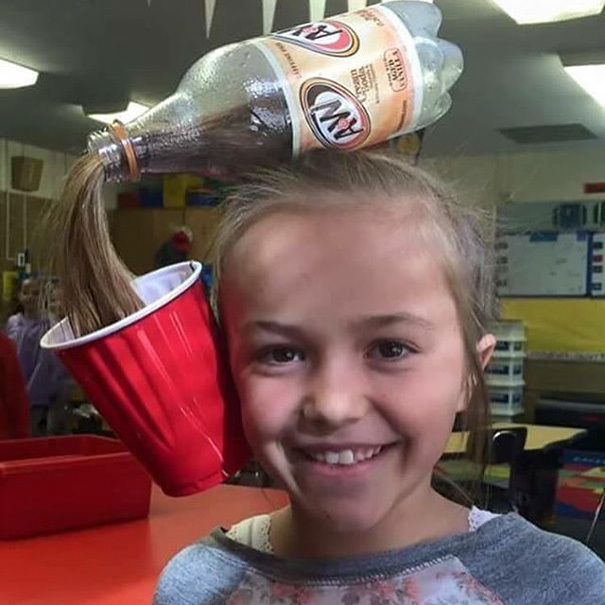 ​Face 5: Innovative Ideas that are FUN! 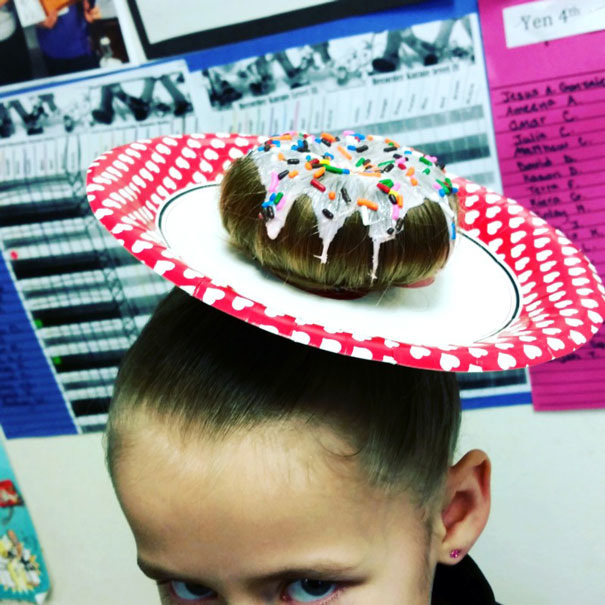 Today we look at simple ideas that solve a problem in a fun way. Some think innovation offers solutions to problems, but they seldom see those ideas as something that makes you smile. 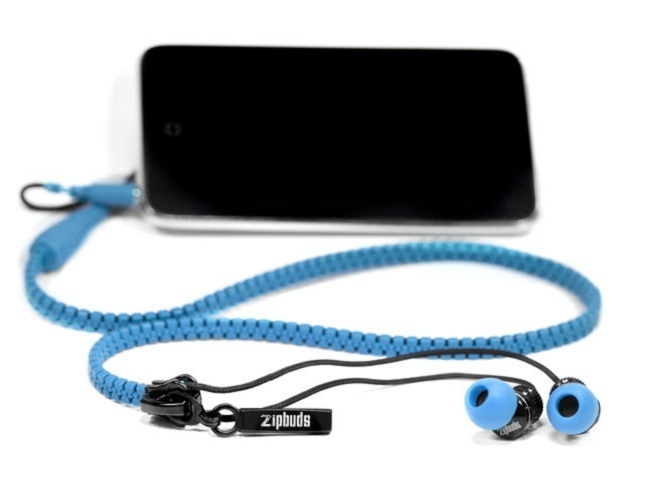 These innovations will do just that! Look around you at the things you do everyday --how can they be changed to make you SMILE? 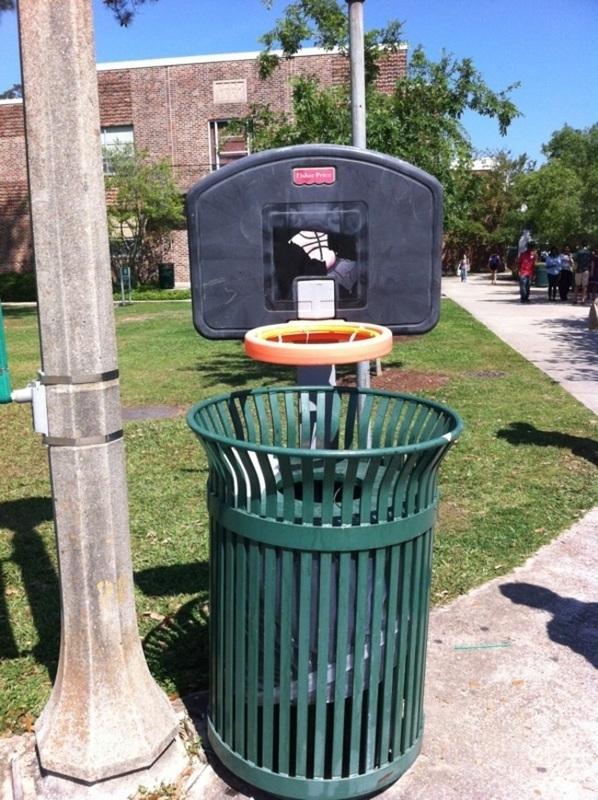 Slam dunking your trash is great fun and encourages people to actually put their trash in the can! 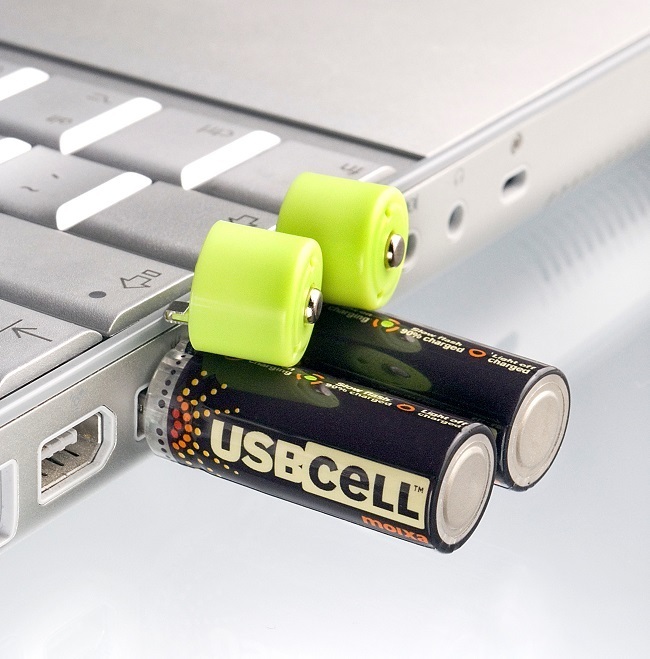 Batteries you charge using a USB! 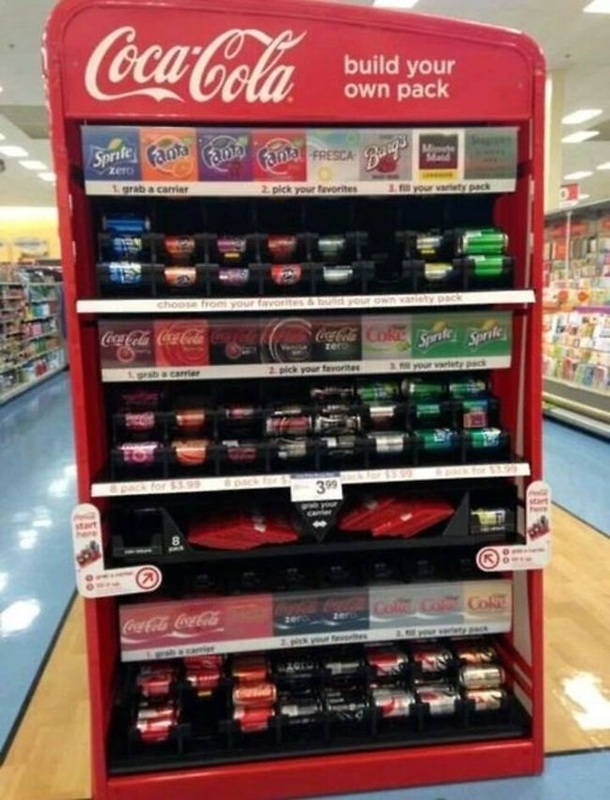 Machines where you can actually select several types of soft drinks to go in your six pack! 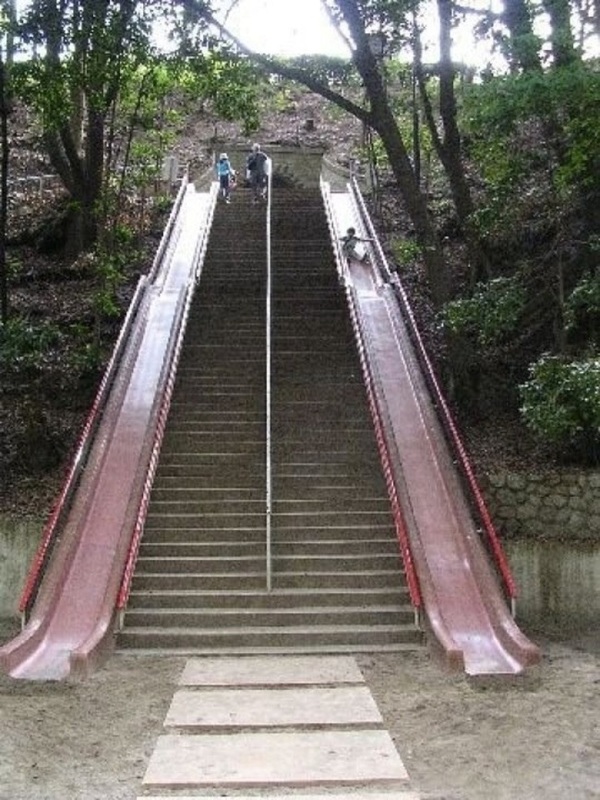 Why take the stairs when you can slide down? !